Serving Lake Barrington and Surrounding Areas. Various treatment methods for all conditions related to tinnitus and ringing in the ears. Great hearing products and accessories provided by leading manufacturers in the industry. 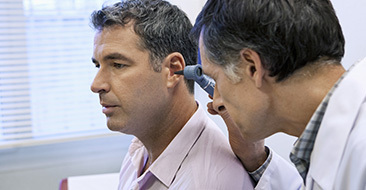 A comprehensive list of hearing care services to diagnose and treat your hearing loss. A wide variety of hearing aid products and accessories to suit your hearing needs. 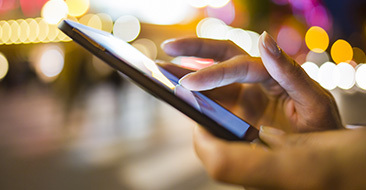 Take our hearing loss survey and start your journey to better hearing health! 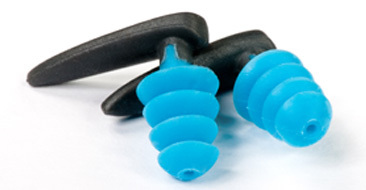 Custom fitted earplugs and ear molds for swimmers, hunters, musicians and more. For more than 25 years, we have been helping improve the quality of life for many people in Barrington and surrounding areas. 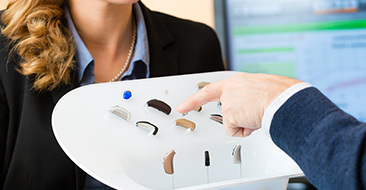 The audiologists at Suburban Hearing Services have a reputation for providing high quality service and using the most innovative listening devices on the market. We provide excellent hearing care to our patients by evaluating your hearing with diagnostic testing and advanced assessment techniques. Offering the best hearing solutions in the business, Suburban Hearing Services evaluates your hearing loss, individual lifestyle and unique requirements before recommending the best solution for you. Finding hearing problems early in a child's life is essential for correcting them. A great selection of hearing products to suit your lifestyle and individual needs. Custom fitted ear molds and ear plugs for musicians, swimmers, hunters and more. Our knowledgeable and friendly staff has years of experience in hearing healthcare. Visit our office for a hearing evaluation, hearing aid selection and fitting, in addition to tune-ups and maintenance for your devices. Our mission is to provide every patient excellent service and care so we can help you, your friends and your loved ones hear better. It’s not about getting old. It’s about staying young. You don’t feel your age, so why hear your age? Hearing loss is common among all age groups: younger generations, seniors, and in-between. Our goal is to improve the lives of people with hearing loss through better hearing and quality hearing care services.